137Cs is gamma and beta emitting by-product of uranium fission. Large quantities of 137Cs were released into the atmosphere during the Chernobyl and Fukushima disasters. 137Cs is water soluble and therefore can travel large distances from the site of release and enter into the food chain with long persistence (half life 30 years). 137Cs can contaminate humans via inhalation or through ingestion (water, food chain) and once in systemic circulation, the natural biological half-life in man is 80 days due to extensive entero-hepatic recirculation. Whilst contaminated, all organs are exposed to damaging beta and gamma ionizing radiations. The follow-on health consequences of the Chernobyl accident are still being evaluated today with premature adult deaths associated with the accident are estimated to run into the hundreds of thousands. Directly linked to 137Cs are numerous diseases not only limited to the increased prevalence of cancers (e.g. neurological diseases). Increases in premature births and birth malformations have been observed over a very wide geographical area. 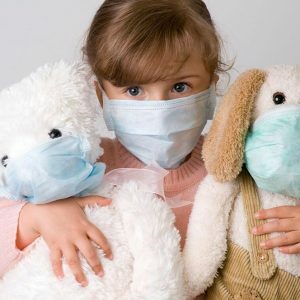 Children are particularly sensitive to contamination shown through increases in pediatric cardiovascular disease. Prussian Blue after oral ingestion is not absorbed through the intact gastrointestinal wall (insoluble in water). It binds cesium isotopes in the gastrointestinal tract after these isotopes are ingested or excreted into the bile, thereby reducing gastrointestinal reabsorption (enterohepatic circulation). NU02, incorporating the AONYS® technology, incorporates Prussian Blue (PB) nanoparticles with an average size of under 5 nm and allows cesium decorporation efficiency after oral administration. The efficiency of orally administered NU02 on non-radioactive Cs decorporation was assessed in in vivo studies, carried out by Bertin Pharma, Orléans, France. See summary of the paper here.